For more than two decades, Medicare has relied far too heavily on recommendations submitted by the American Medical Association’s Relative Value Scale Update Committee. It is clear that the RUC process is broken and that the AMA has no interest in even minor changes. And given the Trump administration’s extreme deference to the RUC, and the unlikelihood that there is sufficient congressional support to overcome that position, reform will have to wait. But the importance of reform is growing, and it is essential that policymakers and stakeholders outline what changes must be made to Medicare’s current system. Second, proposals to guarantee universal health care coverage, including the Center for American Progress’ Medicare Extra for All, must include appropriate payments for doctors in order to finance affordable universal coverage.7 Medicare’s current payment constraints are insufficient to support an effective financing system; it is critical to undo Medicare’s current bias in favor of procedure-based, specialty care and provide additional resources for critical primary care, mental health, and other services that Medicare currently underfunds. In this report, CAP outlines a new approach to setting physician payment amounts based on empirical data that also reflects today’s understanding of the importance of primary care and other nonprocedural services. After the RUC has a list of services to review, it consults with members of the physician specialty societies that perform the services; once these groups decide to proceed with re-evaluating a code, they develop surveys of society members to assess the time and intensity of a specific service, as well as a recommendation for the total work relative value.19 These surveys also include questions that compare the service relative to other selected services. The RUC has pushed back against this criticism, citing its subsequent review of the survey results as an adequate check on reliability. The committee relies on magnitude estimation to assess if the survey results are consistent with relative values of related services, and it often recommends a work value that is lower than what is suggested by the survey data.38 Yet even with these qualitative modifications, the resulting work values are still likely to be inaccurate because the underlying survey data are fundamentally flawed. But the RUC’s flaws are not limited to the use of biased surveys or other methodological problems. The very structure of the RUC creates a conflict of interest; membership of the RUC includes physicians who serve Medicare beneficiaries and whose incomes vary based on the relative value of the services they provide.39 More than two-thirds are appointed by national medical specialty societies that advocate on behalf of their members, and consultants hired by these societies also attend the RUC meetings.40 The RUC has taken steps to minimize conflicts of interest: RUC members may not participate in the review of or vote on proposed relative values for services with which they have or a family member has a direct financial relationship. And more generally, the RUC tries to present itself as an expert panel, not an interested group of advocates, in order to push back against claims of self-dealing. Voting is also secret, making it difficult to “determine whether the RUC’s recommendations are biased in favor of certain specialty societies.”44 Given the RUC’s role in allocating hundreds of billions of taxpayer dollars, it should be easy for the public to attend its meetings, and the proceedings should be transparent. Their meetings are ostensibly public, but their location and attendance requirements belie this claim. For example, at the RUC’s January 2016 meeting in Miami, which an author of this report attended, organizers claimed there was limited room available for the public, even though the meeting was held in an enormous ballroom with plenty of empty spaces. All attendees were also required to sign sweeping confidentiality agreements. While many procedural services may have been more complex and intense than cognitive services in the past, there is growing evidence that this dichotomy is outdated and increasingly inaccurate. As the Medicare Payment Advisory Commission (MedPAC) has noted, technological innovations and the increasing role of midlevel practitioners may mean that the relative values of certain procedures are overstated.46 At the same time, many cognitive services are increasingly difficult and labor-intensive, for both primary care physicians and specialists whose practices are not procedure-intensive.47 For example, care coordination for a high-risk patient can involve far more judgement, analysis, and decision-making than a physician’s preparation for a standard in-office procedure such as taping ascites or a spinal tap. And a meeting between an oncologist and her patient to discuss end-of-life wishes can require as much skill, expertise, and judgment as an endotracheal intubation in an emergency room. Second, this practice also creates incentives for physicians to structure their practices to maximize other sources of income. For example, Medicare payments for physician-administered drugs increase revenue for medical oncologists whose cognitive services are undervalued. But these types of nonservice-related payments can, in turn, raise costs for the entire Medicare program by creating their own problematic incentives. Policymakers must replace the Relative Value Scale Update Committee’s one-size-fits-all approach to assigning value to physician services. First, payment for nonprocedural services such as primary care and mental health services should not be set based on an arbitrary comparison to procedure-based services. Second, payment for procedural services should reflect empirical time data. The current payment system creates winners and losers each time codes are reassessed because all changes must be budget-neutral. Consistent with CAP’s Medicare Extra for All proposal, the first step to correcting the bias toward procedural codes is to increase average rates for primary care and other cognitive services by 20 percent relative to certain rates for specialty care on a budget-neutral basis. When deciding which nonprimary care services to apply this increase to, policymakers should prioritize services with existing provider shortages, such as services for mental health and substance use disorders. This adjustment would correct Medicare’s substantial bias in favor of specialty care at the expense of primary care. After this initial adjustment, Medicare should periodically update this group of services on a budget-neutral basis, as well as engage with physicians, patients, and other health care practitioners to evaluate the adequacy of the current payment amounts and the impact of these changes on the number of physicians treating Medicare patients. Medicare should also consult with public health experts to assess if additional changes might improve access to care and community wellness. Former CMS Administrator Gail Wilensky has noted that “the persistent focus on inputs and the costs of a particular input, as opposed to what you get from that input, put you in an undesirable position in terms of trying to acknowledge that there frequently are, can, and should be different ways of getting to a health outcome.”57 By reframing the process to place a greater focus on the value of the services provided to patients instead of the physicians’ time and effort, Medicare can encourage the use of services that improve patient outcomes and keep patients healthy. One key is ensuring adequate resources for participating systems. According to the Urban Institute report, “Many of the practices that declined expressed interest in participating in a study like this but faced logistical or organizational barriers.”62 Funding these projects will be more difficult without the federal government’s participation. For example, if the Trump administration were willing, the Center for Medicare and Medicaid Innovation could provide grants in support of this work. In the absence of federal support for this work, researchers will need to make the case to health care funders and other payers that these efforts are critical to building a higher-quality, lower-cost system that more accurately pays for physician services. Any such project should also establish recommendations for evaluating the intensity of physician work. 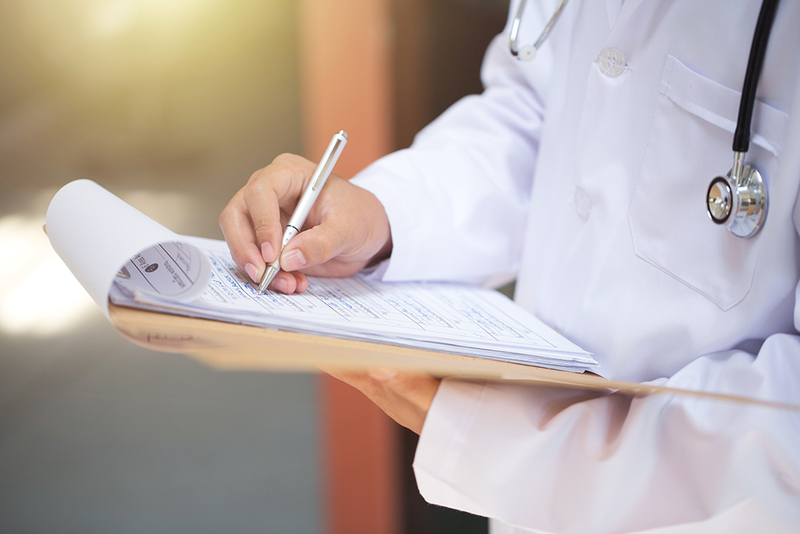 Empirical data can replace surveys in determining the time that a physician needs to provide a service, but there remains some need for qualitative, expert assessments about the resources and intensity required for specific services. Moreover, there may be a need to further modify payment in particular situations. If, for example, there are multiple procedures to treat the same condition with very different time and intensity findings, a shorter, less intensive approach may merit higher payment if it is safer and more effective. Instead of relying on the RUC’s small group of interested physicians who review anecdotal surveys, policy experts should assess other ways in which experienced physicians could participate in these evaluations. For example, Urban Institute researchers engaged physician experts to validate their empirical findings. These review panels should include physicians, patients, and other health care practitioners, a majority of which should be noninterested physicians whose salaries and other income are wholly unrelated to Medicare payment levels. These individuals should review empirical data, consider updates to nonprocedural codes as outlined above, and recommend additional changes to payment amounts. Finally, Medicare will continue to propose and finalize updates to various codes in annual rule-making, while giving the American Medical Association and physician specialty societies the opportunity to comment on any proposed changes. A transition to a more thoughtful approach grounded in the needs of patients that is also data-driven and transparent will not be simple. Yet investing in these efforts today will allow for a successful move to value-based payment in the short term and to a health care system that meets the growing demands for primary care, mental health services, and care coordination in the future. Maura Calsyn is the managing director of Health Policy at the Center for American Progress. Madeline Twomey is the special assistant for Health Policy at the Center. This publication was made possible in part by a grant from the Peter G. Peterson Foundation. The statements made and the view expressed are solely the responsibility of the Center for American Progress.